City of Culture status could do for Derry what the Olympics did for London, organisers have claimed. It is hoped the year-long event will transform perceptions of a city blighted by some of the worst violence of Northern Ireland’s troubled past. Shona McCarthy, chief executive of Culture Company 2013, said the plethora of art, music and drama planned for every month next year would also restore civic pride and rebuild confidence. “Derry has suffered from being at the epicentre of the Troubles but also having second-city syndrome,” said Ms McCarthy. 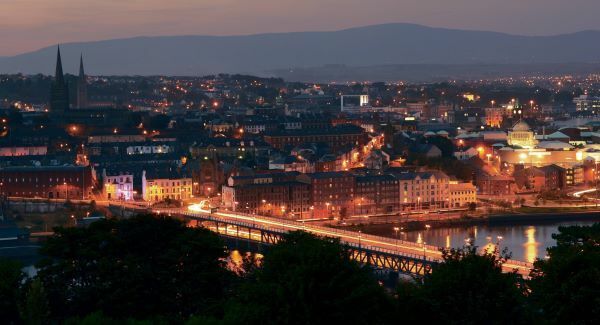 Derry staved off competition from Norwich, Birmingham and Sheffield to take the inaugural City of Culture mantle. Highlights of the programme include a pageant on the River Foyle to celebrate the return of Colmcille – a warrior monk said to have founded the city – by Frank Cottrel Boyce who wrote the much lauded Olympics opening ceremony. Ms McCarthy said: “I think one of the defining moments for the City of Culture year is going to be the return of Colmcille. “It hasn’t quite sunk in just what type of thing it is yet. “It is a large-scale public performance spectacle that uses the landscape of this city to literally bring St Columba back and that is going to really blow people away. “That is going to be very special – that is going to be our Olympic moment I think because that is something that is so of, and from and about this place that will leave people feeling wow. Other key events include the all-Ireland Fleadh in August; a military tattoo in August; and the Turner Prize which will be at Ebrington Square from October to December. Ms McCarthy said Derry had won the title because the whole community had been galvanised. She added: “It was a very forceful bid because it was bought into by everybody and it was delivered with such passion. “After that it was the strength of the concepts. Derry is where the Troubles broke out in 1969. During the height of the 40-year conflict, the streets were blighted by some of the worst scenes of violence including the 1972 Bloody Sunday massacre where British paratroopers opened fire on a civil rights march killing 14 civilians. More recently, the city has been targeted by dissident republicans who have twice tried to bomb the offices of those organising next year’s festivities. The actions of the dissidents have prompted hundreds of people to take to the streets to protest for peace. Ms McCarthy said they would not be deterred. She said: “It is always a concern but any city that you go to in the world is going to have the issues that are specific to that city. “London has its own problems and it didn’t stop London from doing the Olympics. Look at what happened in Delhi prior to the Commonwealth Games. “Every single city in this world, anywhere you would go to do something of this scale and magnitude will have its own particular bespoke issues to counter and to get around. The festival – officially known as Derry-Londonderry 2013 – will begin on January 20 with a free Sons and Daughters concert on the banks of the River Foyle, to be broadcast by the BBC. Ms McCarthy said: “In this place right now – even with the economic crisis - there is a real hopefulness, an ambition and a self-belief that you would not have seen had the city not won the City of Culture title.